Yesterday, February 21, 2010 marked the 45th anniversary of the assassination of Malcolm X. A lot of what we know or believe we know about Malcolm comes from his “autobiography”, but now more information is coming out about its writer Alex Haley and missing parts of the book itself. Haley saw a great story. A charismatic, handsome, articulate Black leader who had a controversial past as a hustler, a pimp, a drug addict, a numbers runner, “Detroit Red,” “Little Bugsy Siegel,” who goes through a metamorphosis, he comes out, he explodes onto the scene. He creates seventy to eighty new mosques in less than ten years. He goes to Africa and the Mideast. He is treated as a head of state. He is welcomed at the Fateh by the Saudi royal household. He eats breakfast with Anwar Sadat in Egypt. He caucuses and meets and gets to know Che Guevara while he’s in Africa. So Malcolm is this extraordinary figure, dies at the age of thirty-nine. It’s a hell of a story. Haley understood that. And so, it was on those terms he agreed to work with Malcolm to write the book. But, what Malcolm didn’t know was that Haley already was compromised and had basically been a purveyor of information—a kind of, not informant, but a client of the FBI in this disinformation campaign against the NOI. Haley had collaborated with the FBI. Malcolm never knew that. In the summer of sixty-four when Malcolm was in Egypt, Haley was taking the book manuscript and giving it to an attorney, William O’Dwyer, rewriting passages of the book trying to get it passed as Malcolm’s survey. Malcolm’s on the run, people are trying to kill him, they’re trying to poison him in Egypt. He’s not going to have time to look at the book carefully. Then, he dies. Haley adds a seventy-nine-page appendix to the book where he has his own integrationist and liberal Republican interpretation. And then, they have M.S. Handler of the New York Times writing in the front of the book. I mean, you know Malcolm respected Handler. But this is not who you want to lead in to a Black revolutionary’s text. So Haley did a variety of things to reframe the book. And, toward the end of the book, there’s a lot of language in it that simply doesn’t sound like Malcolm. It doesn’t sound like him. There’s a lot of information that is just wrong in the book. They misspelled “As-Salamu Alaykum” several times. They give the story of Johnson Hinton. They have Hinton Johnson. They put the date of this very tragic beating of this brother who’s in the Nation, Brother Johnson, in 1959, rather than the year it actually occurred, which was April 1957. So there are simple mistakes in dates, of names, events that clearly show Malcolm did not have access to the final manuscript. He didn’t see it. And it’s gone through the prism of Haley who was a Republican, integrationist, and a defender of U.S. power. You should read the anticommunist articles he wrote for the Reader’s Guide in the mid-fifties on Hungary. This is the man you’re dealing with. ~ Marable. Manning Marable, on the missing chapters: I’m sitting here frantically reading these pages. But it only takes me a few minutes to recognize what they are. They were obviously written sometime between August 1963 to December 1963. There’s a presumption in the text that Malcolm is still in the Nation of Islam. So he hasn’t broken with the Nation yet. What they call for is the construction of an unprecedented Black united front, uniting all Black organizations. So Malcolm is envisioning the Nation actively participating in antiracist struggles and building various types of capacities: economic strategies, housing strategies and health-care strategies. Malcolm envisions a broad-based pluralistic united front, which is spearheaded by the Nation of Islam, but mobilizing integrationist organizations, non-political organizations, civic groups, all under the banner of building black empowerment, human dignity, economic development, political mobilization. I believe that if we could see the chapters that are missing from the book, we would gain an understanding as to why perhaps—perhaps—the F.B.I., the C.I.A., the New York Police Department and others in law enforcement greatly feared what Malcolm X was about, because he was trying to build a broad—an unprecedented black coalition across the lines of black nationalism and integration. I think that that is what frightened the FBI, and that is what frightened the CIA. The murder took place on February 21, 1965, as a result of the culmination of three separate groups. There was no classic conspiracy, no direct collusion, but, rather, a convergence. Three things had to happen for the murder to take place, and they all did. 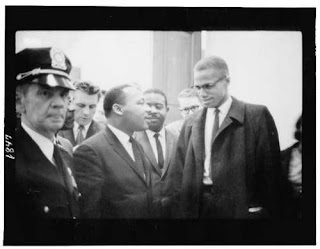 Law enforcement, the FBI and the NYPD, and its Bureau of Special Services (BOSS), which was its red squad, actively wanted to do surveillance disruption of Malcolm X and possibly eliminate him; certainly the FBI, because their nightmare was seeing King and Malcolm embrace. That was their nightmare. And they realized much to their horror that they were far better off with Malcolm in the Nation of Islam than outside of it, because then he was being treated like a head of state in Africa. Then you have the Nation of Islam. 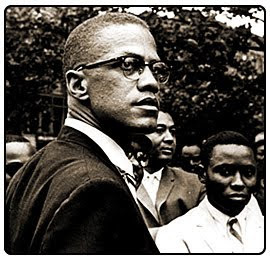 But what people need to understand is that there were different points of view in the NOI about Malcolm. Some of the leadership, especially in Chicago, the national secretary John Ali, (inset: on Malcolm's right) the national head of the Fruit of Islam Raymond Shareef, Elijah Muhammad’s son-in-law Herbert Muhammad, the sons of Elijah Muhammad, Jr., and several others wanted to silence Malcolm permanently. Joseph X, who was a captain of the Fruit of Islam and the Northeast regional security director at Mosque No. 7, formerly Malcolm’s associate and friend, as was John Ali—they actively sought to eliminate him, to blow him up with bombs, to kill him, or firebomb his home or whatever. But other members of the Nation of Islam were against the murder and it is questionable if Elijah Muhammad ever gave the order. Malcolm once confided in a reporter that Ali had exacerbated tensions between him and Elijah Muhammad, and he considered Ali his "archenemy" within the Nation of Islam leadership. On February 20, the night before the assassination, Ali met with Hayer, one of the men convicted of killing Malcolm. On July 9, 1964 John Ali, answered a question about Malcolm X by saying that "anyone who opposes the Honorable Elijah Muhammad puts their life in jeopardy." organization, the Organization of Afro-American Unity (OAAU). Karl Evanzz, a staff writer for the Washington Post, researched more than 300,000 pages of declassified FBI and CIA documents for his book, The Judas Factor. In its introduction he states, “After analyzing these resources, I am convinced that Louis E. Lomax, an industrious African-American journalist who befriended Malcolm X in the late 1950s, had practically solved the riddle of his assassination. 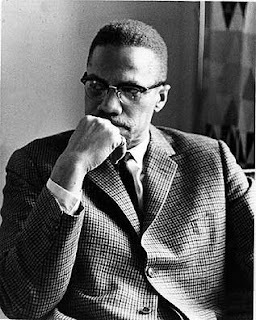 He believed that Malcolm X was set up for the assassination by a former friend, John Ali, who was an agent/informer for an intelligence agency. 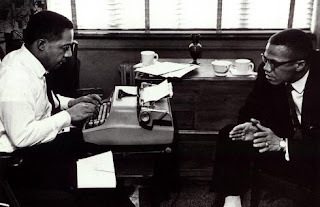 Malcolm X had previously commented that Ali had been responsible for his ouster from the NOI. Ali eventually rose to the position of National Secretary of the NOI. Lomax was later mysteriously killed in an automobile accident (due to brake failure).